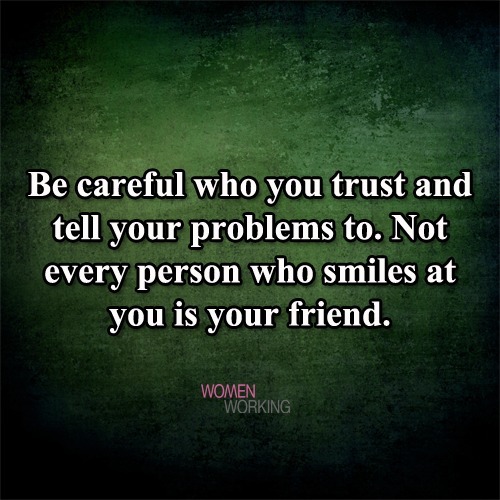 Be careful who you trust and tell your problems to. Be careful who you trust and tell your problems to. Not every person who smiles at you is your friend.